Singer/songwriter Chris Sullivan recently released The Odd Sea, his debut album best described as vagabond blues folk. Sullivan connected with us about the storytelling element of his songs. Songwriters are storytellers and poets as much as any other writers. Do you feel a need to tell a story with each song, to create a living character in music? Do you ever approach each song as a “four-minute movie,” a story with a beginning, a middle, and an end? I frequently approach songs from the perspective of a character outside of myself. I find it more interesting to investigate someone else’s personal experience; explore someone else’s relationships. It might be a defense mechanism against vulnerability, but at this time, that’s what I’m doing. I definitely have a strong “verse, chorus” structure that ends up giving each song a beginning, middle and end. The songwriters I grew up admiring tend to have the same structure. Story looks to elicit an emotional response from the audience. How do you get at that in your songwriting? Do you look for a balance between telling the story in the music and in the lyrics? I feel like the song/story should be able to elicit its own emotion without the performer/teller emoting on top of everything else. Strong, straightforward delivery should allow the song to deliver its message while permitting the listener to take away their own personal experience from the piece. I’ve already explained how I feel about something by writing the song. There is no need for me to tell the listener how to feel about how I feel with the performance. One of the themes in your current album is “heart” – “everyone knows a heart needs dusting”, “my heart just wants to sing”, “battle worn is the soldier of my heart”, “uninvited guests… that trash my heart”. This has to come from your own heart. How much of yourself becomes articulated in your music? I think regardless of the character that I place on a song, there will always be a strong presence of myself in these songs. “The heart” is a strong, present subject in most music, I think. I guess I haven’t thought about why so much, but I guess I feel like music isn’t worth much if it doesn’t make you feel something. If a song doesn’t lead you to feel some emotion that you are looking to experience, then I imagine that music gets filed under “bad music”. It’s not necessarily bad. It just isn’t serving its purpose in your life at that moment. In that way, I believe the heart and music are inseparable. See Chris Sullivan’s full resumé. Photo credits: Sasha israel. 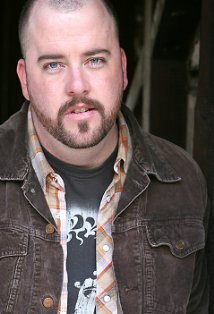 Besides singing, Chris Sullivan has an extensive acting career. On Broadway he has acted in Nice Work If You Can Get It, Chicago the Musical, and Lombardi. He has acted in various television roles as well, including the live production of Peter Pan, and The Knick. And many will know him from his television commercial roles: the voice of the Geico camel talking about hump day; a few years ago, the Snickers Viking. And here is Roberto Serrini’s video of “The Gypsy Queen” from The Odd Sea.